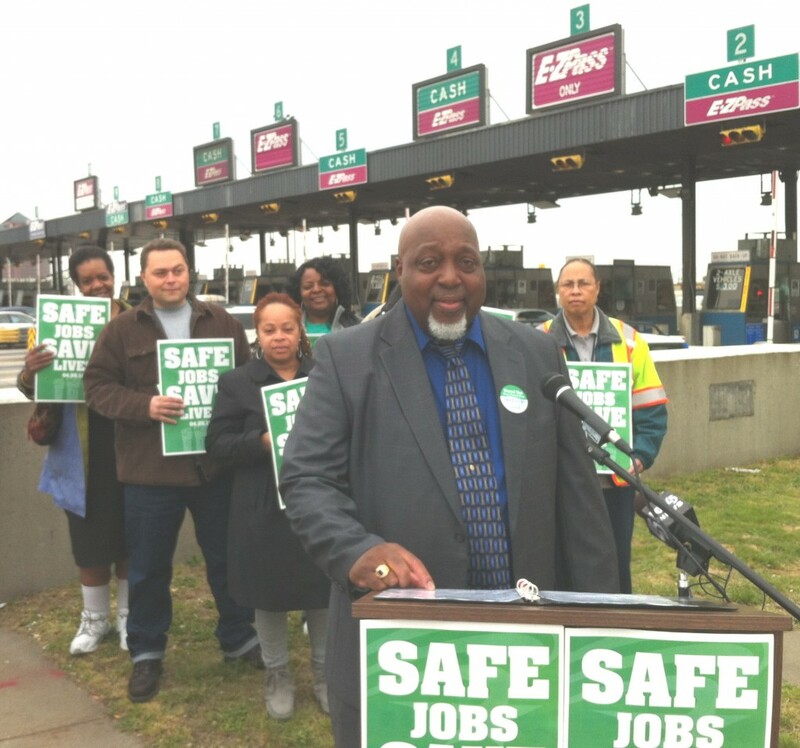 At bay bridge toll plaza, William Randall announces campaign to unionize Maryland Transportation Authority. Employees of the Maryland Transportation Authority, which operates the state’s toll bridges and tunnels, have kicked off a campaign for union representation even though the governor has yet to sign the bill authorizing collective bargaining at their agency. A union press release announcing the campaign said they expect Gov. Martin O’Malley to sign the bill May 22. The administration did not oppose the legislation, HB537 and SB783, which affects employees at four agencies not under the direct control of the governor: MdTA, the Maryland State Retirement and Pension System, the Maryland State Department of Education and the Office of the Comptroller. These agencies are among the few state departments not currently covered by collective bargaining. The MdTA workers are seeking to be represented by the American Federation of State County and Municipal Employees. If MdTA employees vote to be represented by a union, not all would be forced to join but everyone would be required to pay “a service fee” for representation on labor issues. For state employees who do not pay dues but are represented by a union, that “Fair Share” service fee is $281 a year, according to the legislative staff analysis. In the case of MdTA, those fees could generate more than $4 million a year for AFSCME. The House version of the bill was sponsored House Speaker-Pro tem Adrienne Jones of Baltimore County. Only AFSCME members and staff testified for the bill. Four staff members from the comptroller’s office, who had voluntarily joined AFSCME, complained at the hearing about lack of training at the tax collecting agency and the lack of responsive management. Other agency employees also complained about the lack of adequate training. But committee members wondered how collective bargaining would improve their situation. The workers said it might make managers take them more seriously. Both versions of the bill were passed by the House and Senate. There was virtually no debate in the House, which passed the bill 91-43. It passed the Senate 36-10. In both houses, almost all Republicans voted against the bill. UPDATE: Esty disagreed. “That’s clearly not the case. Management maintains many of their rights, including staff assignments,” she said. Unionization, she insisted, can improve the timing and provision of services to the public by allowing employees to suggest improvements.